Diono is definitely one of my favourite baby and kids’ brands — they always come up with clever and stylish products to make life with children easier. 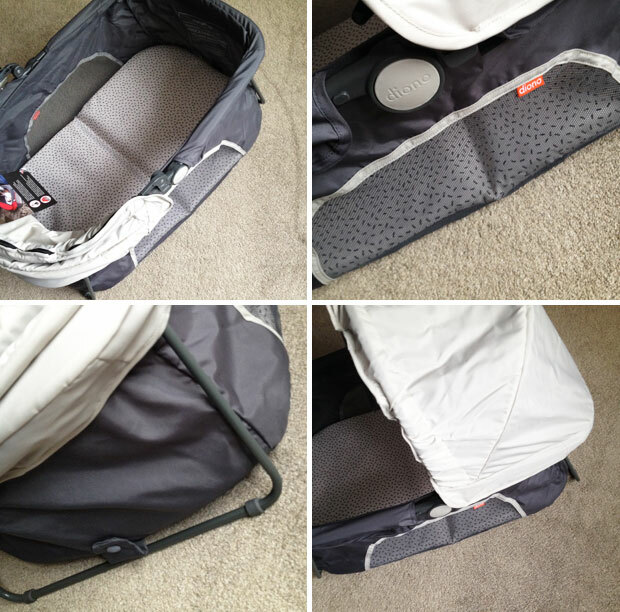 One of their new releases is the Diono Dreamliner Travel Bassinet and when I saw it, I wanted to try it straight away. At that point, my second baby hadn’t even been born yet, but now she’s here and we have tried the Dreamliner. 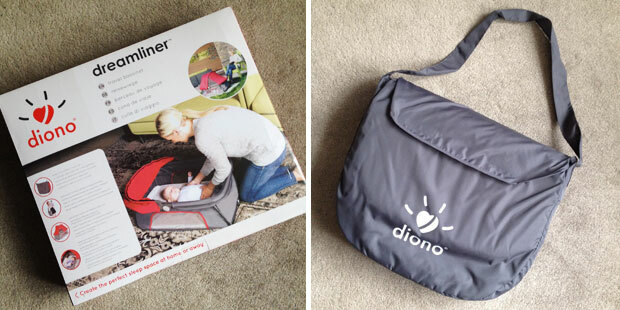 The Diono Dreamliner is a home from home travel bassinet that provides you with a portable sleep solution for when you’re travelling, visiting friends and family or are out and about, having a picnic for example. Of course, you can also use it at home! 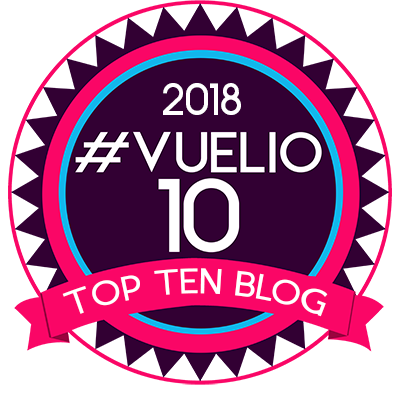 For us, it’s really good as a sleeping area when we are out in the garden and we’ll also be using it on trips and nights away. The large, removable, multi-position hood gives plenty of coverage and creates a pleasant sleeping space for my baby. I like to use it in the full coverage position as it offers the best protection and sits firmly in place. I just roll up the cover when I want to access my baby but you can put it away neatly with a zip too. I wish it would click into place in the middle position to keep it in place better there too. 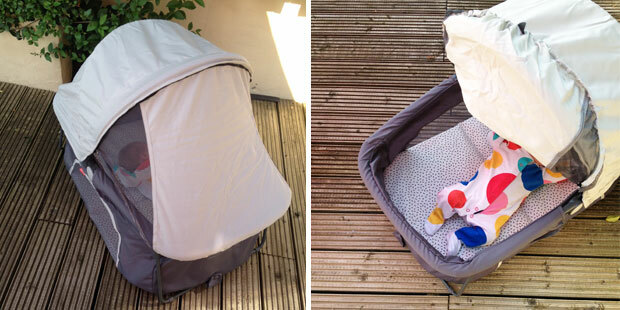 The bassinet folds up for storage and transport and is very lightweight (less than 3kg) and comes with a handy storage bag that is easy to carry thanks to the long shoulder strap. It’s got an adjustable hood for shade with a built-in insect net. The bassinet is well ventilated thanks to the mesh side panels. The Diono Dreamliner can be used from birth to 7kg/15lbs or when your baby begins to push up on their hands or knees — whichever comes first. 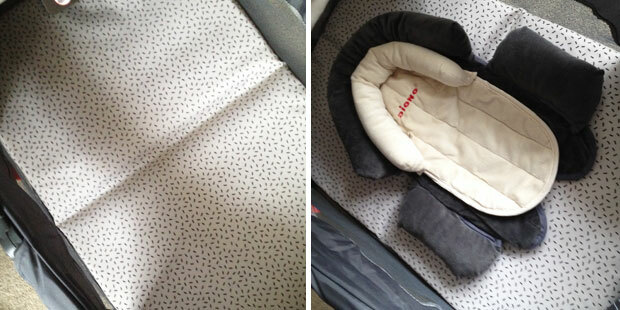 The Dreamliner creates a comfortable and safe sleeping area for your baby. It has a well-padded mattress (30mm) that folds up and fits into the bag. 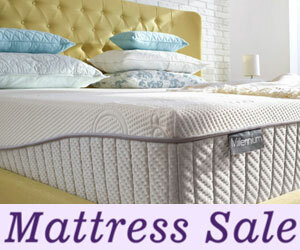 The mattress has a removable cover for easy cleaning. It has quite a deep groove it it where it folds but this doesn’t seem to cause any discomfort. 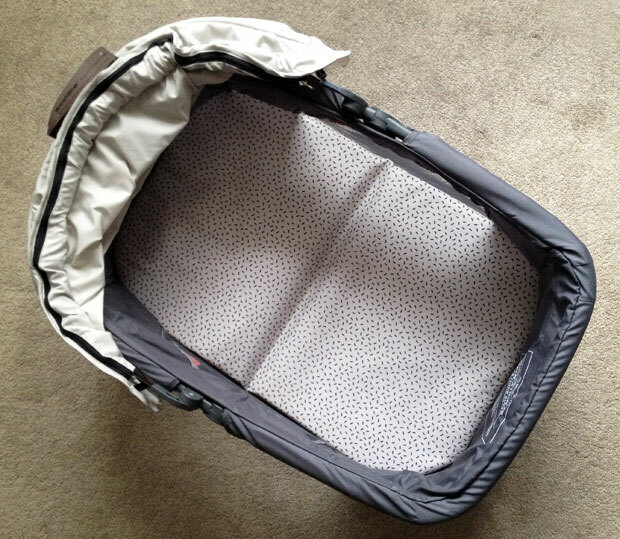 We like to use the bassinet with our Diono Cuddle Soft Baby Support — one of my all-time best baby buys that we’re using again with Baby No. 2 (review here). It’s a very spacious bassinet so there’s plenty of room for your growing baby to move his or her arms and legs. It’s deep too, providing extra safety. One of my favourite features of this clever product is how quickly it’s ready to use. You just take it out of the box or the storage bag and it almost folds itself up. You simply open it up and pull the legs into position and put the mattress in. It only takes a few seconds and it’s so easy. It’s equally quick to put away. When you are looking after kids at the same time, you really want things like this to be quick and easy so it’s perfect. 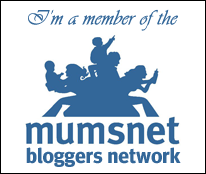 The Dreamliner provides us with a safe sleeping area for our newborn baby that we can get out and use in seconds and it’s so lightweight and easy to take with us wherever we’re going. It’s a very useful product! I also really love the mesh as it ensures good air flow and also lets me see my baby. The Diono Dreamliner costs around £70 of is also available in a gorgeous red design. 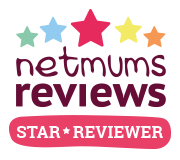 It’s available from the Diono website, Amazon.co.uk and other shops that sell baby equipment.